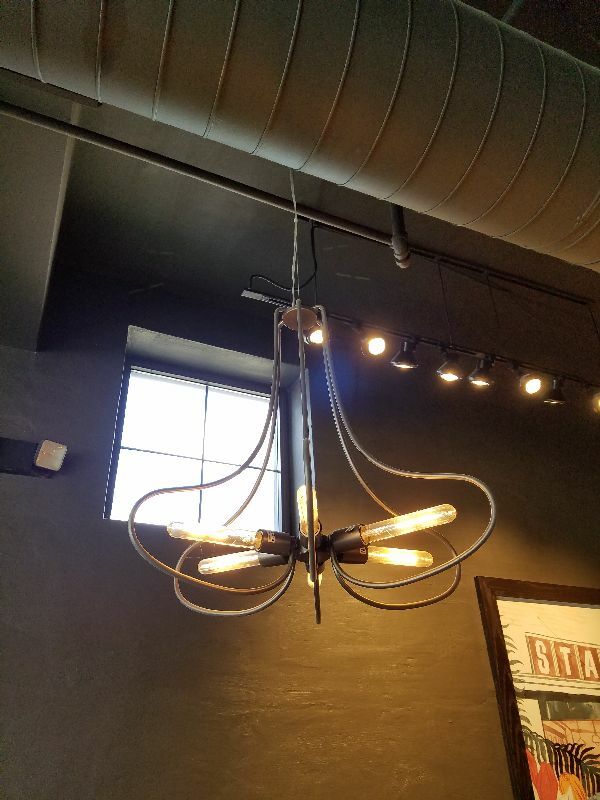 As you might expect, this store sits inside an old building (dating back to the 1800s) and has the usual touches--brick wall, ornate ceiling, photos of an older Beaver. 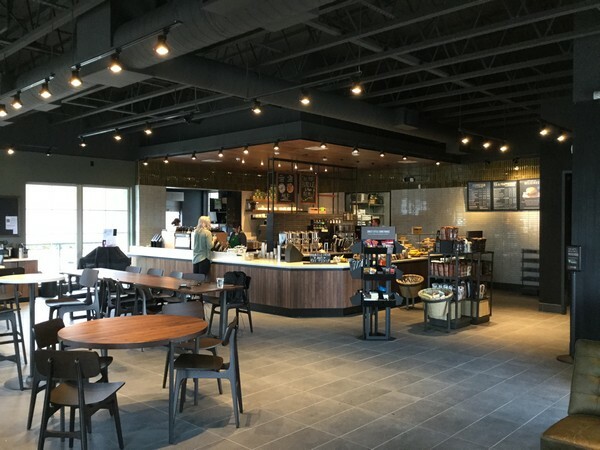 This is the only location I remember seeing with taller versions of the standard tables and chairs, excluding stools or chairs up against a counter. 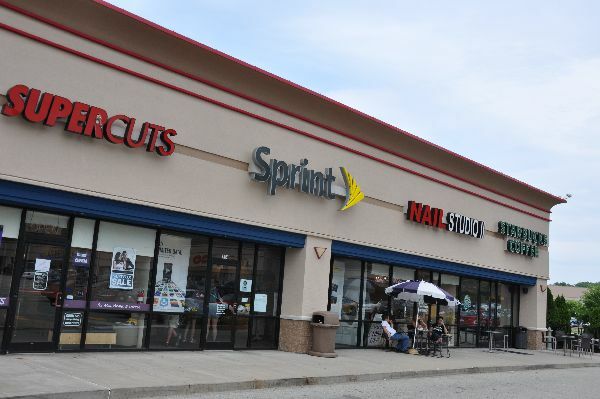 And the store has yet another variant of the large wall-like partition with a large rectangle cut out of the center, painted yellow this time. 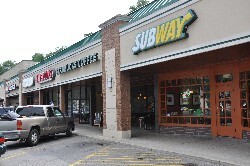 I don't think I've seen two of that style that look exactly the same, anywhere. 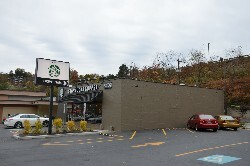 This was the first of two locations I've seen that are decorated with movie posters. 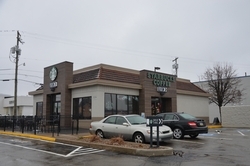 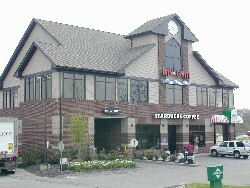 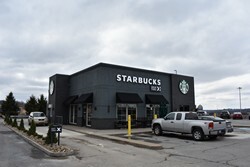 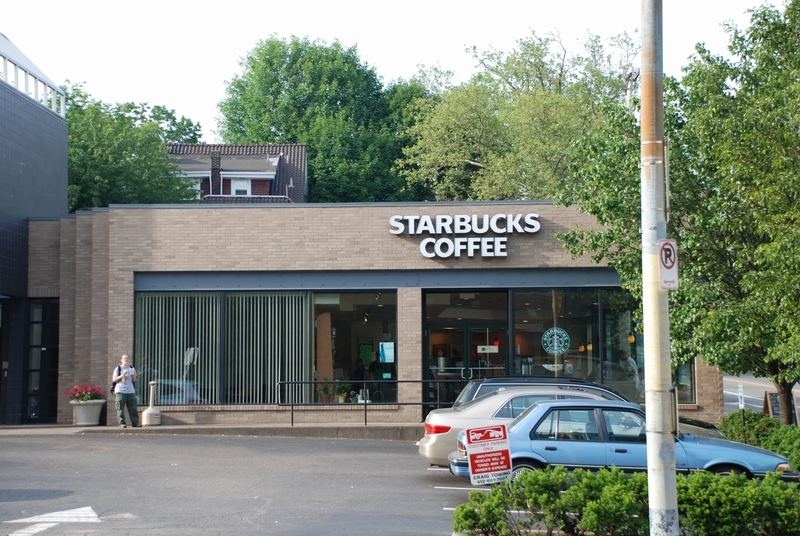 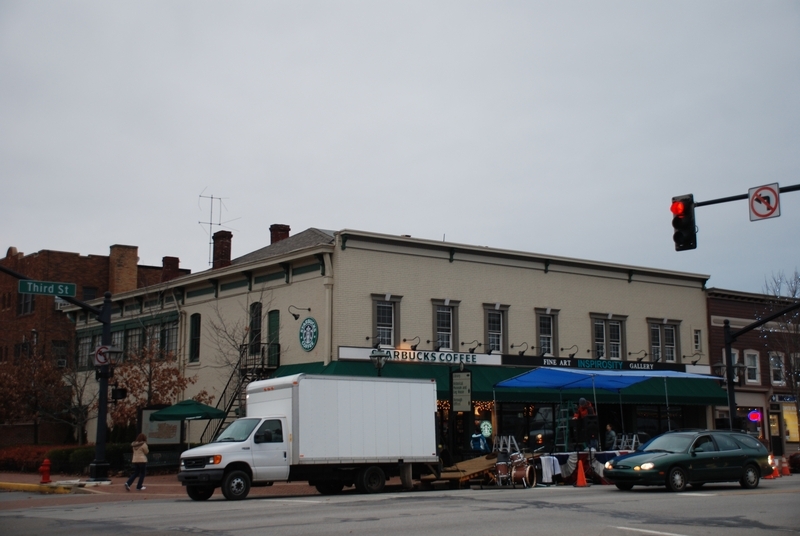 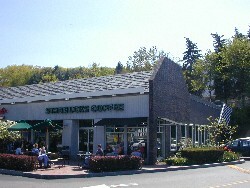 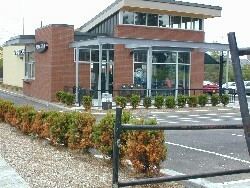 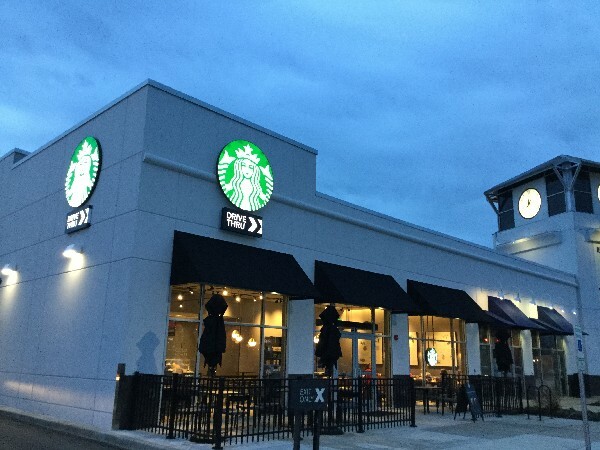 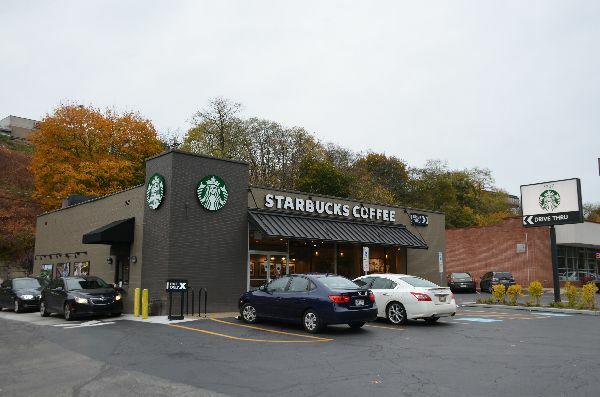 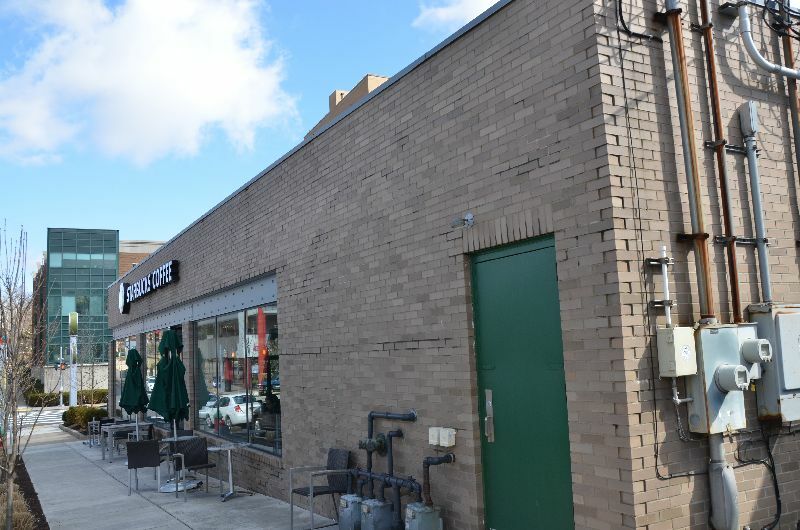 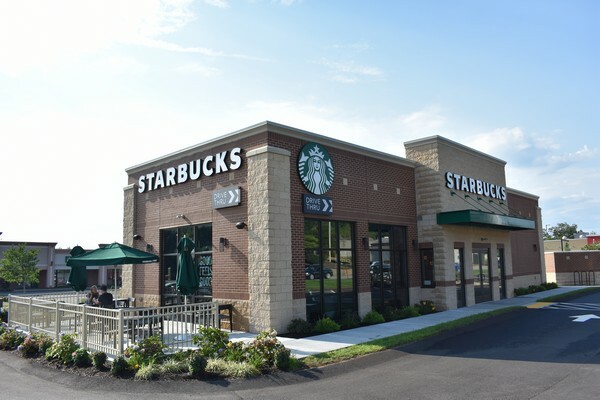 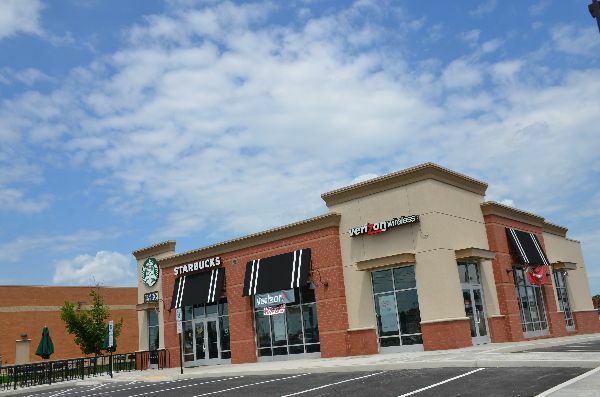 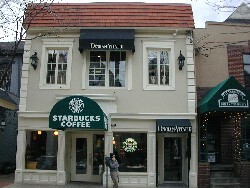 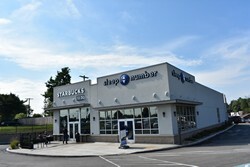 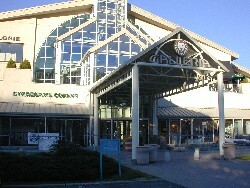 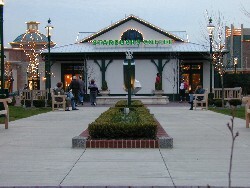 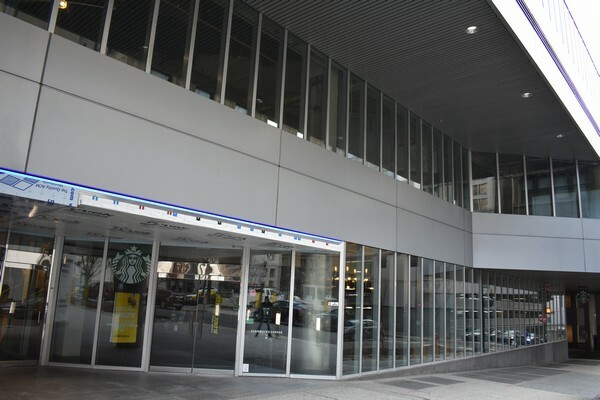 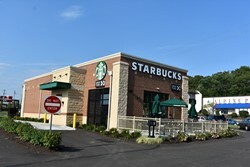 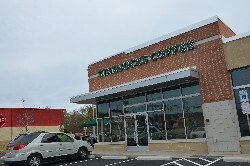 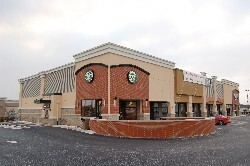 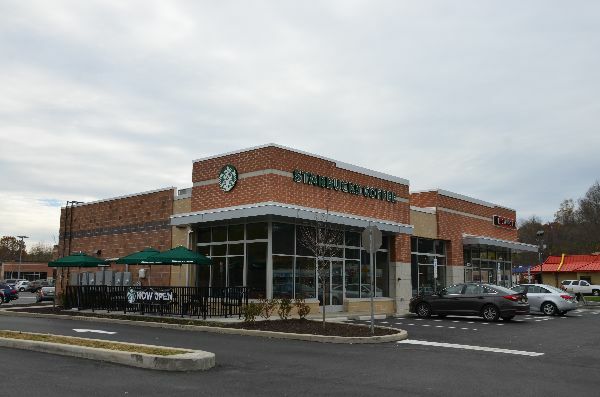 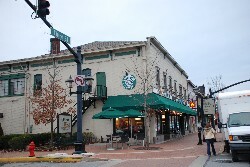 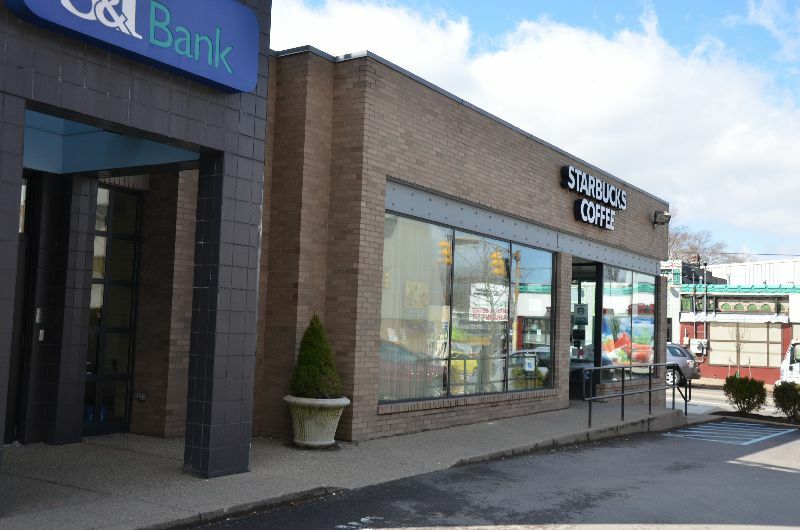 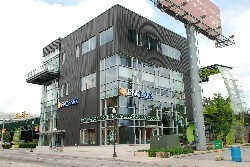 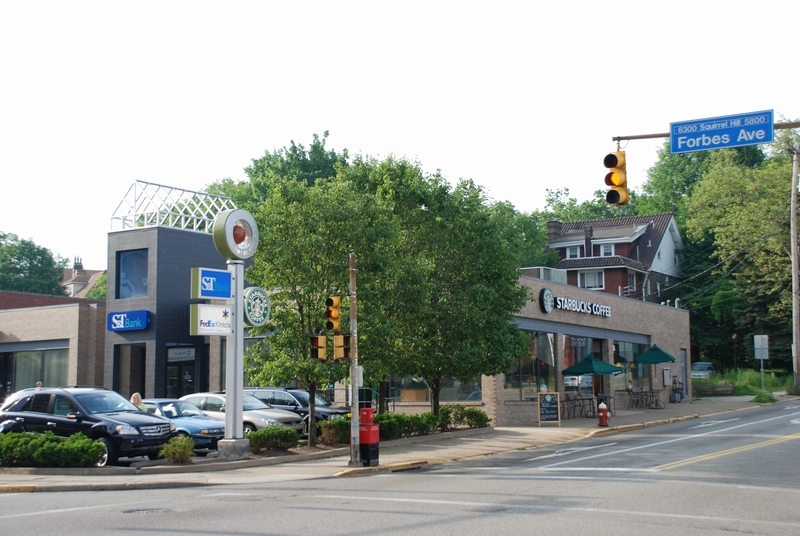 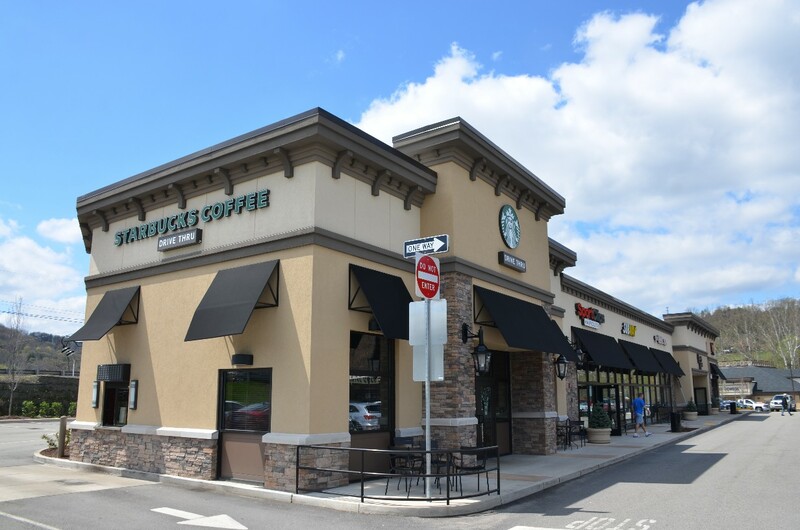 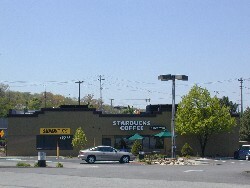 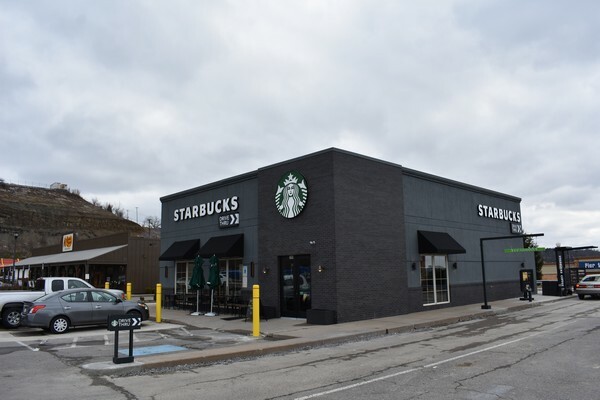 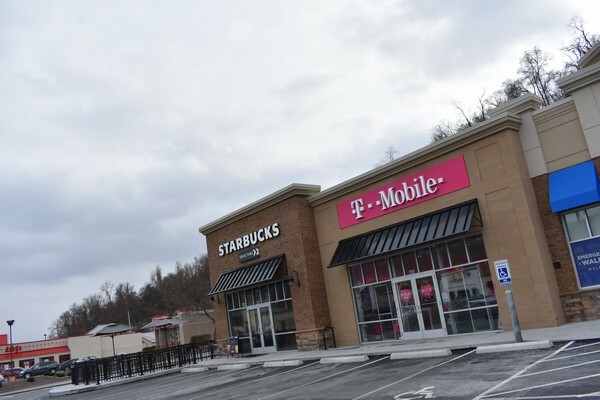 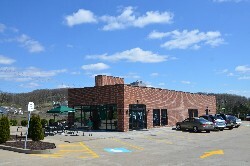 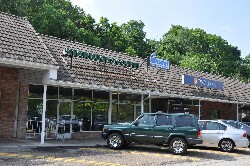 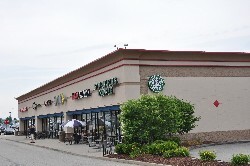 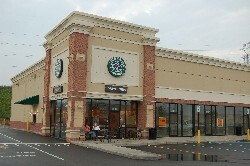 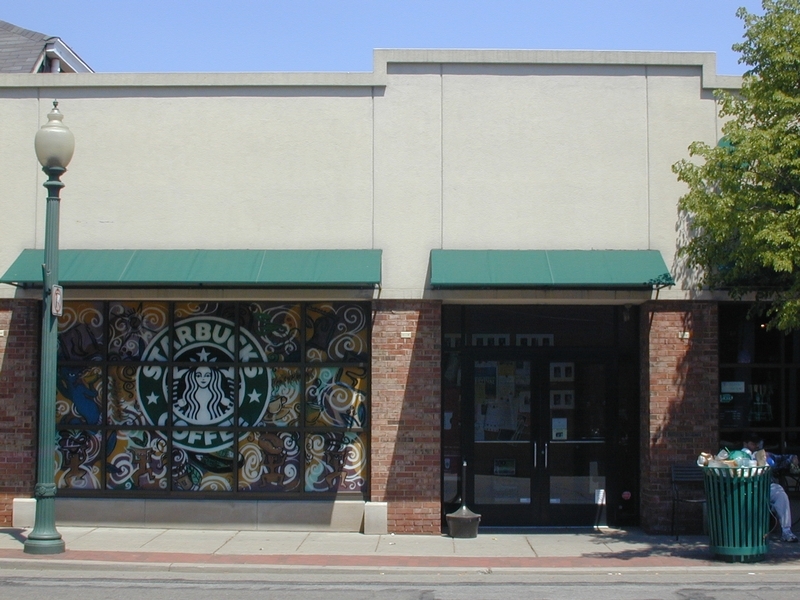 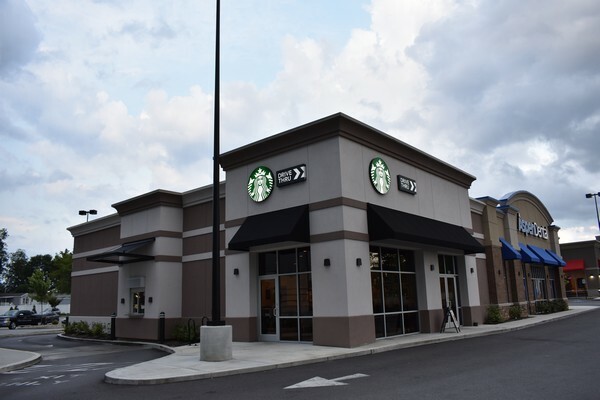 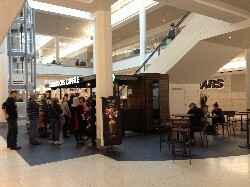 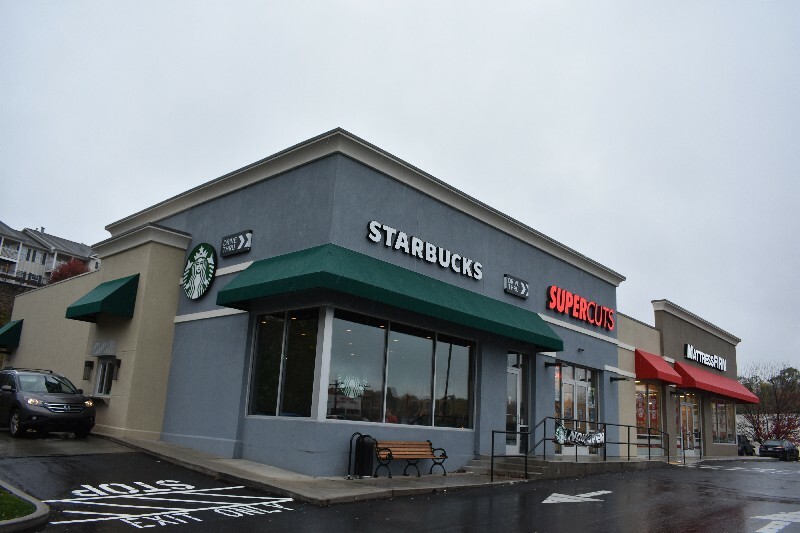 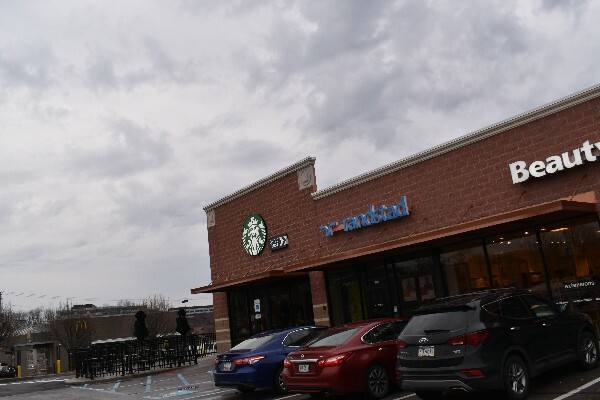 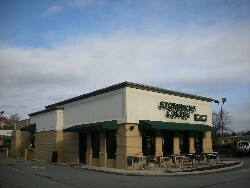 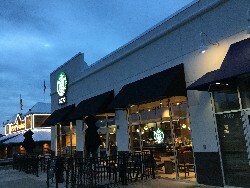 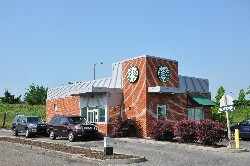 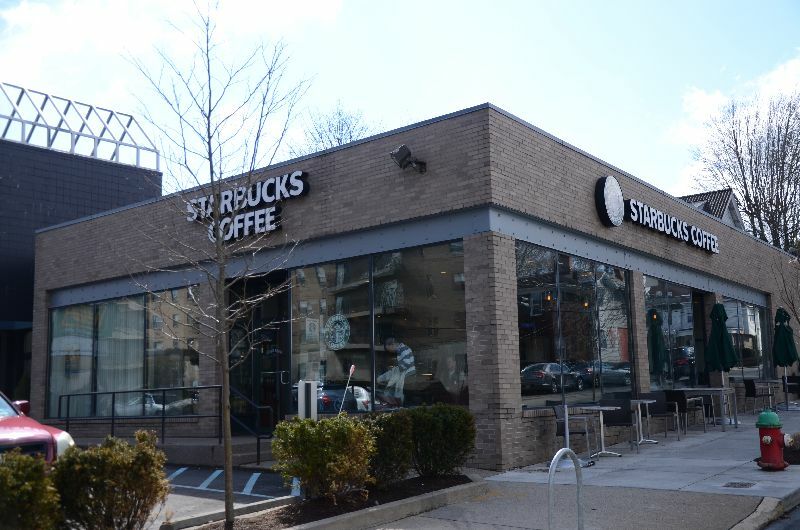 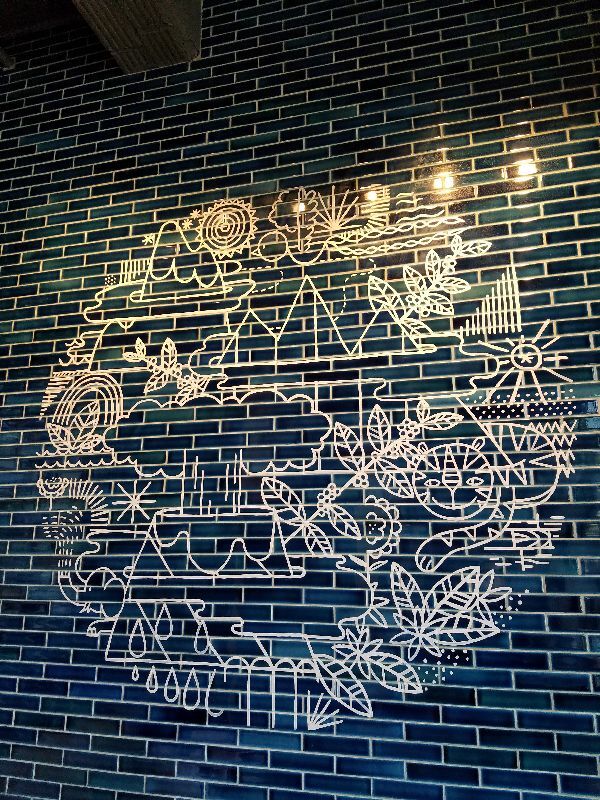 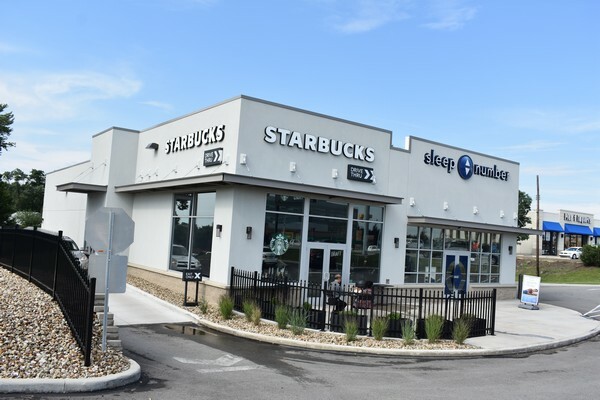 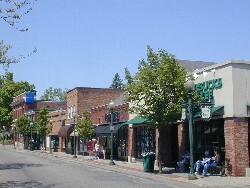 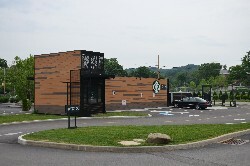 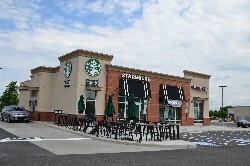 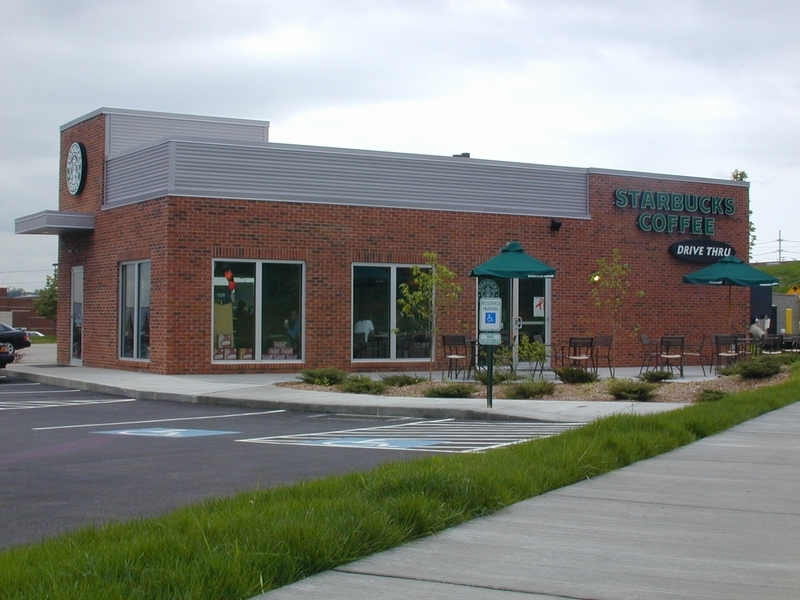 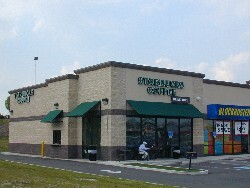 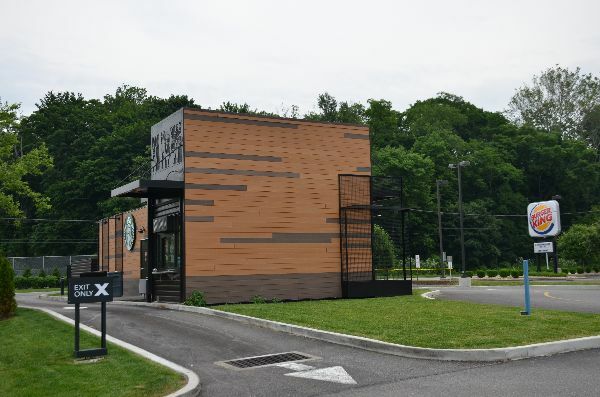 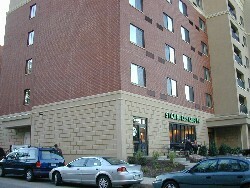 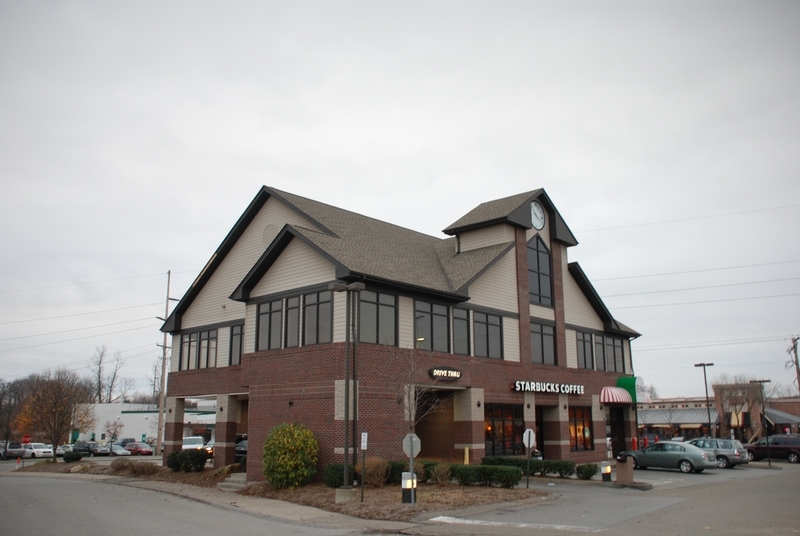 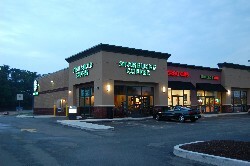 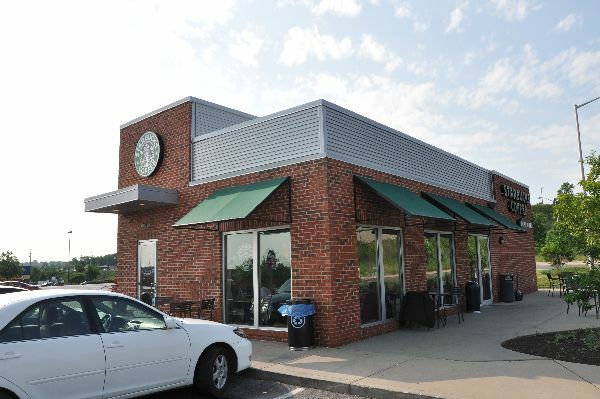 This is one of just a few company-owned Starbucks that sit on the campus of a university! 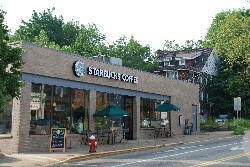 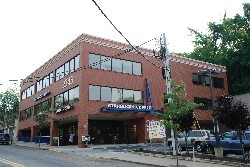 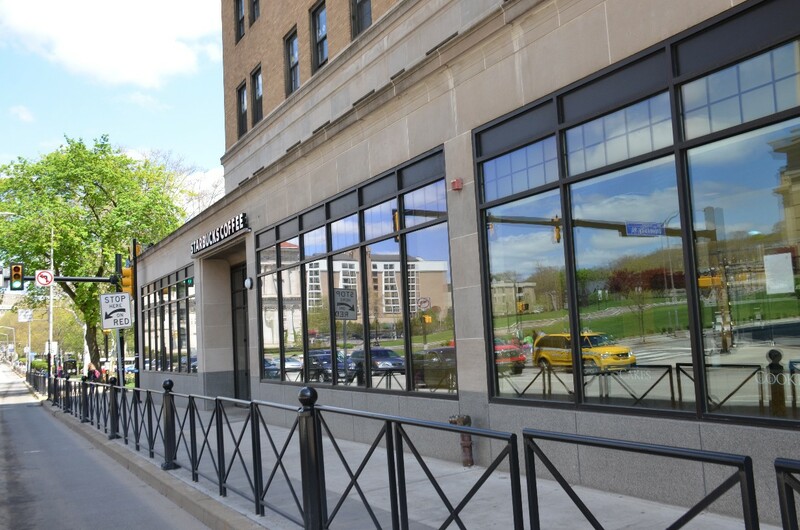 This store offers ample seating an atmosphere conducive to studying, doubtlessly because of its proximity to the University of Pittsburgh. 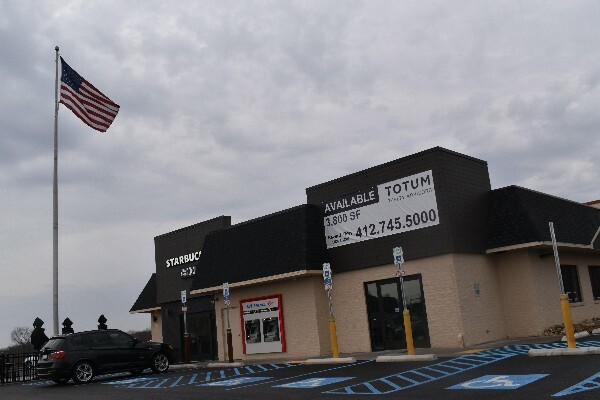 This is another one of those stores, thankfully few in number, that have those ugly square tables with the bold rectangle design. 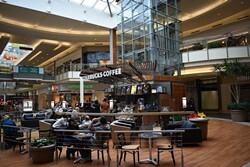 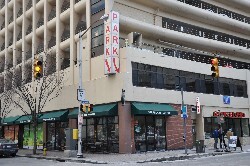 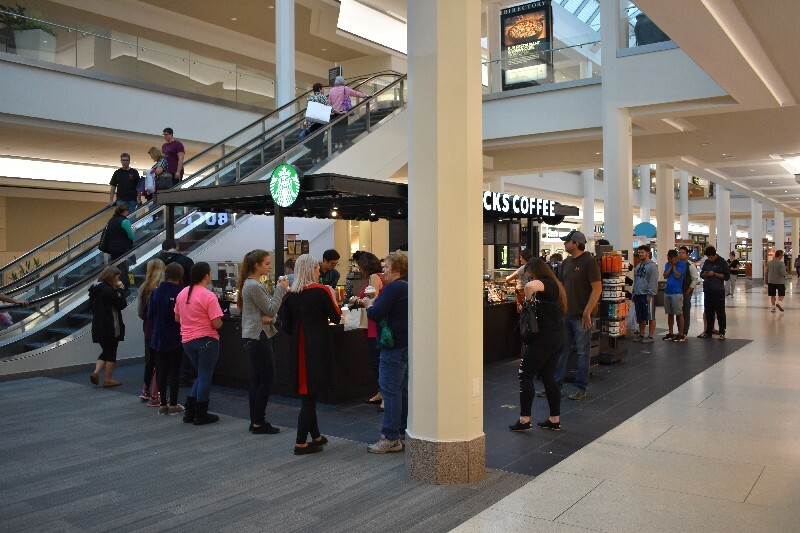 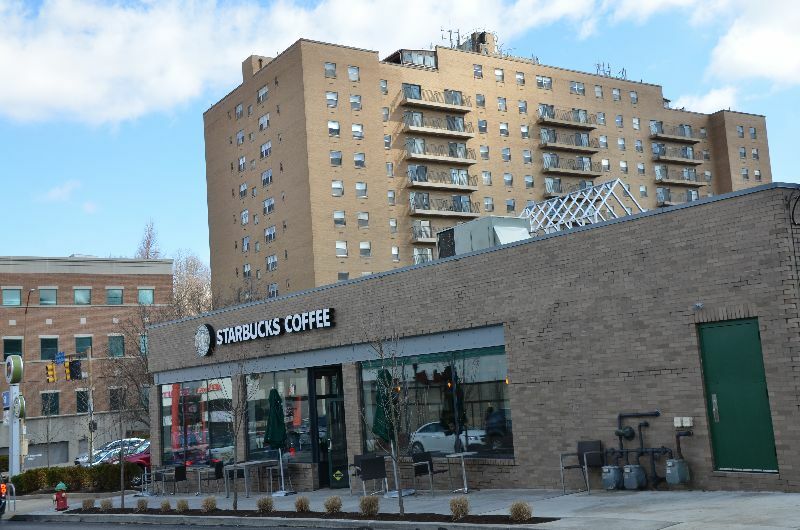 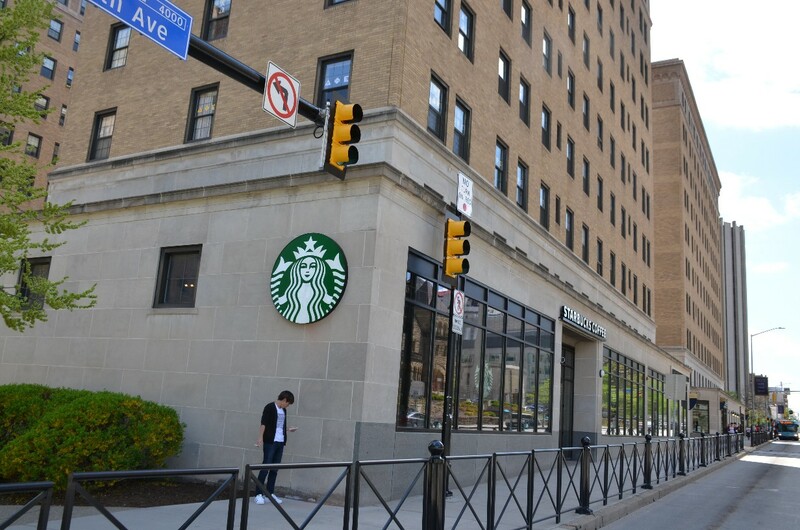 The fact that this Starbucks is plush is no surprise, given that it is located inside the Westin William Penn hotel, which has been designated as a National Historic Landmark. 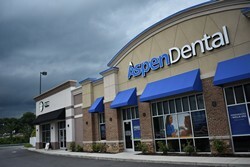 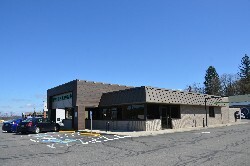 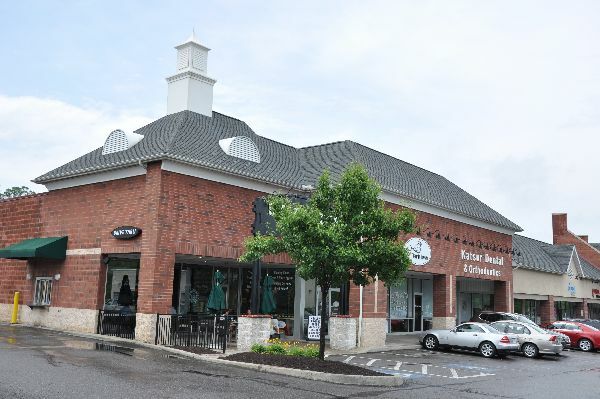 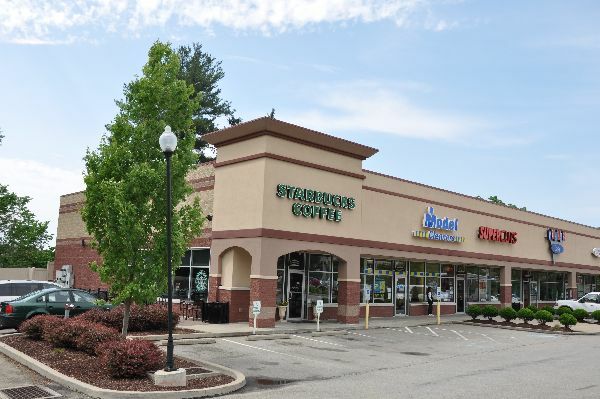 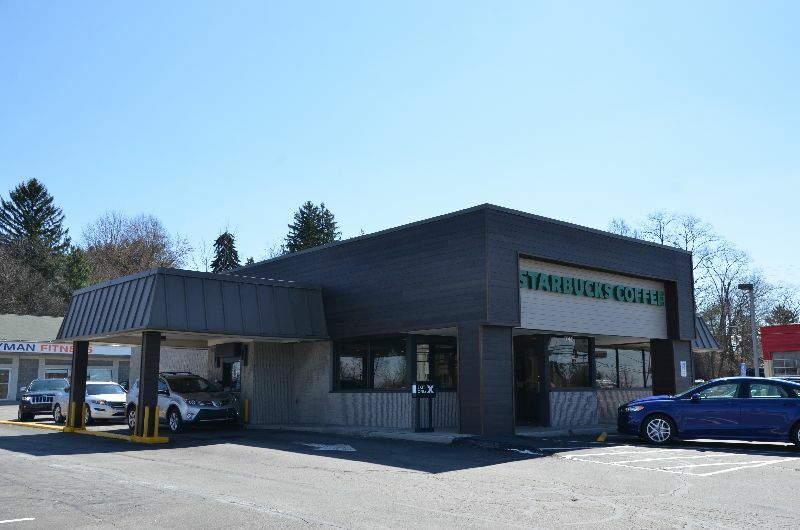 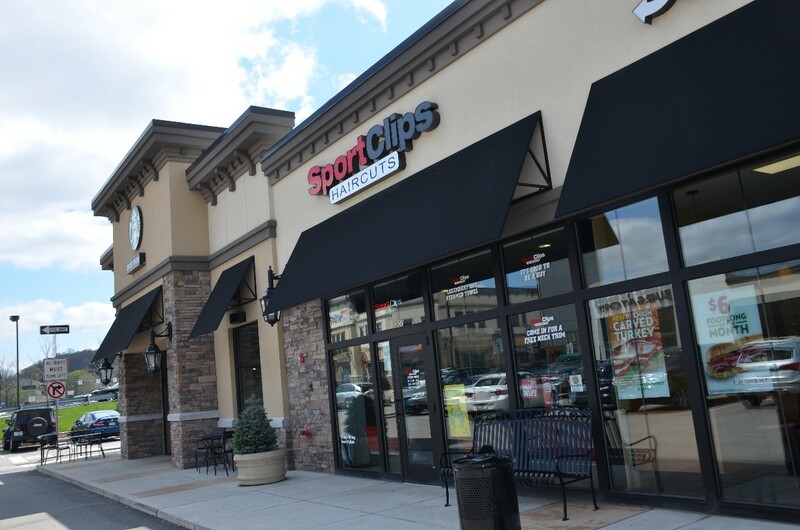 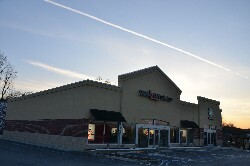 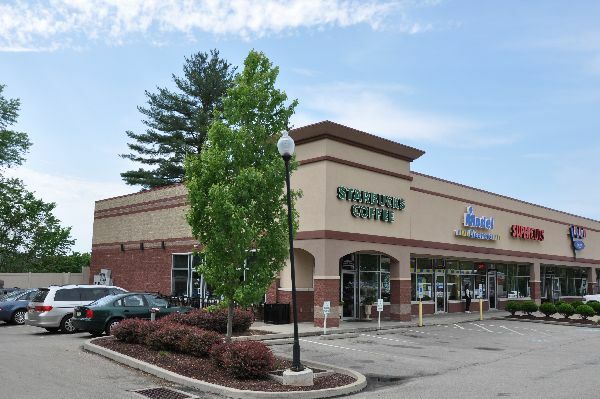 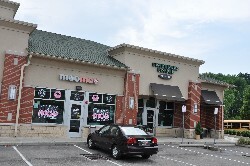 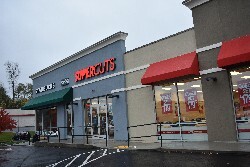 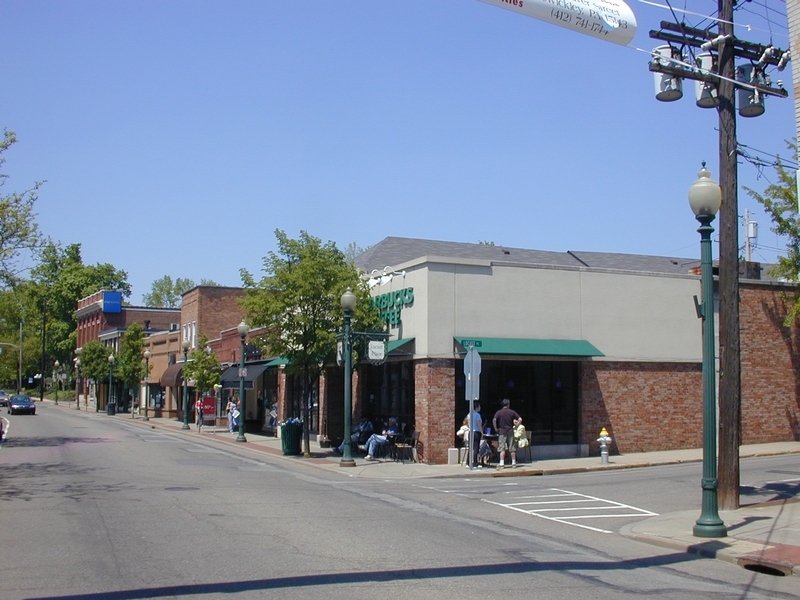 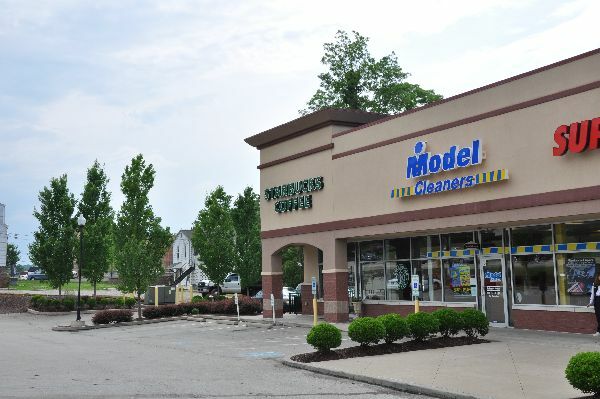 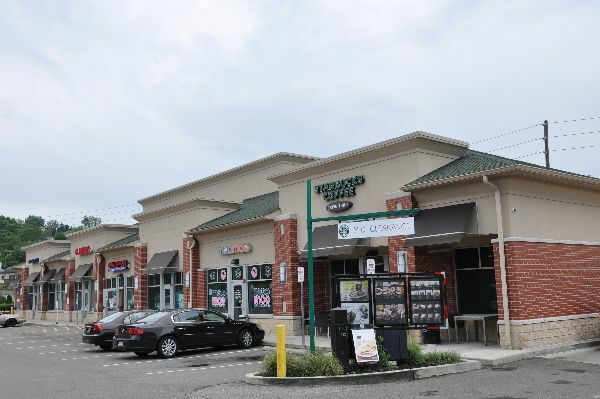 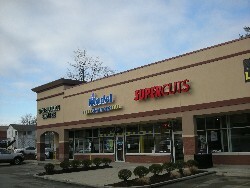 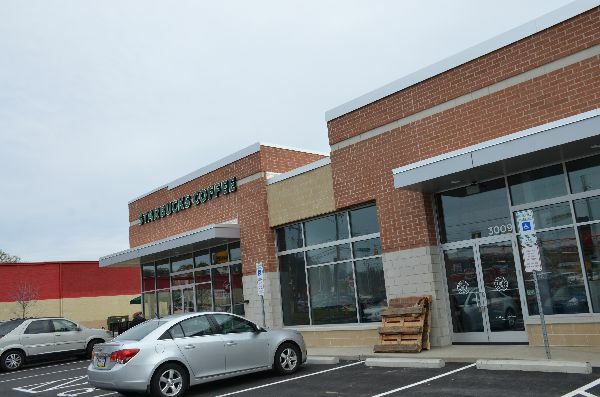 This relocation takes over a former Boston Market. 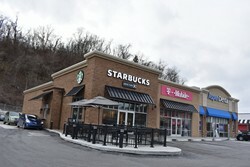 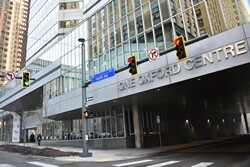 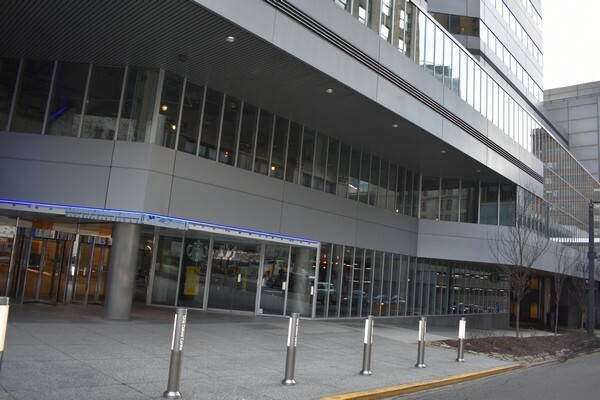 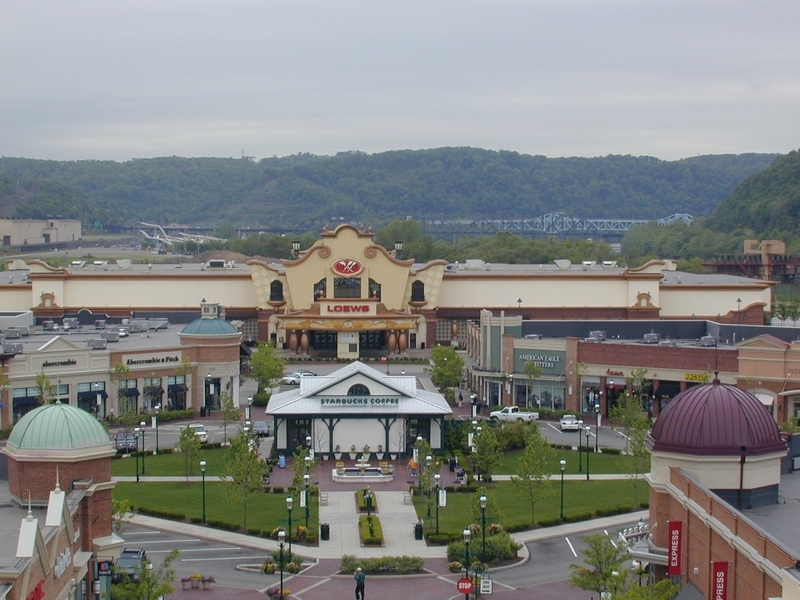 Though fairly tiny, this stores offers a treat, an excellent photo of downtown Pittsburgh. 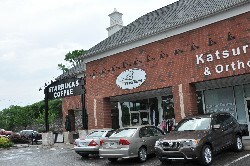 This store was unusual in that as you walked in, the room angled to the right. 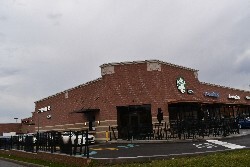 The walls were straight, however, but just shifted to the right in several sections. 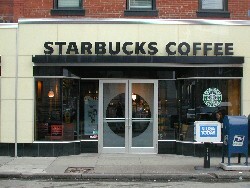 You had to be there (or I could simply expand my writing skills). 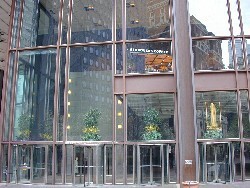 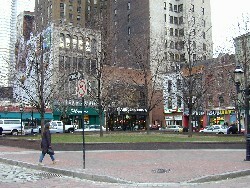 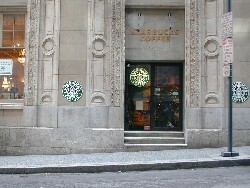 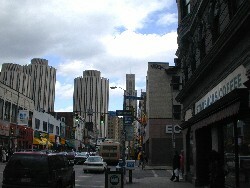 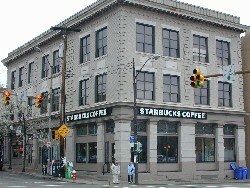 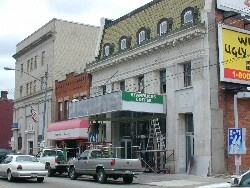 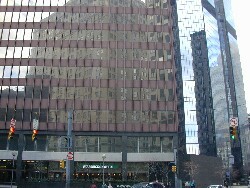 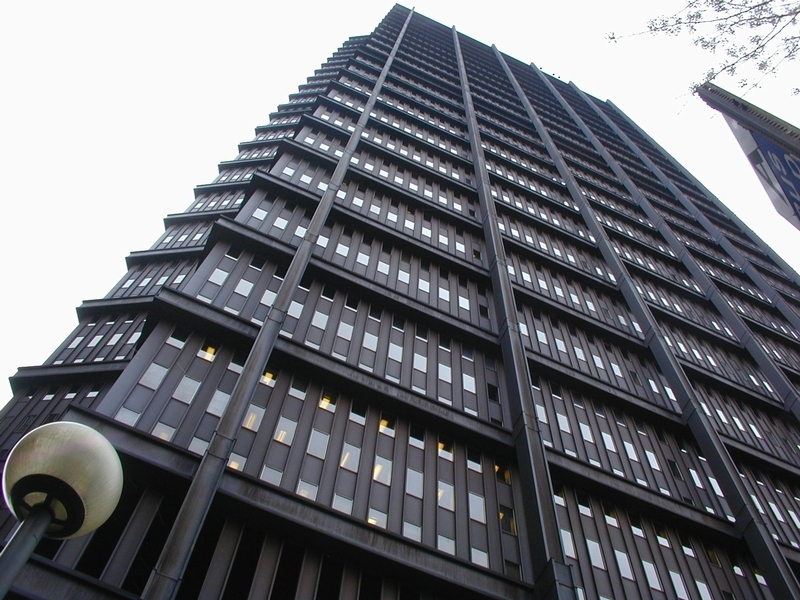 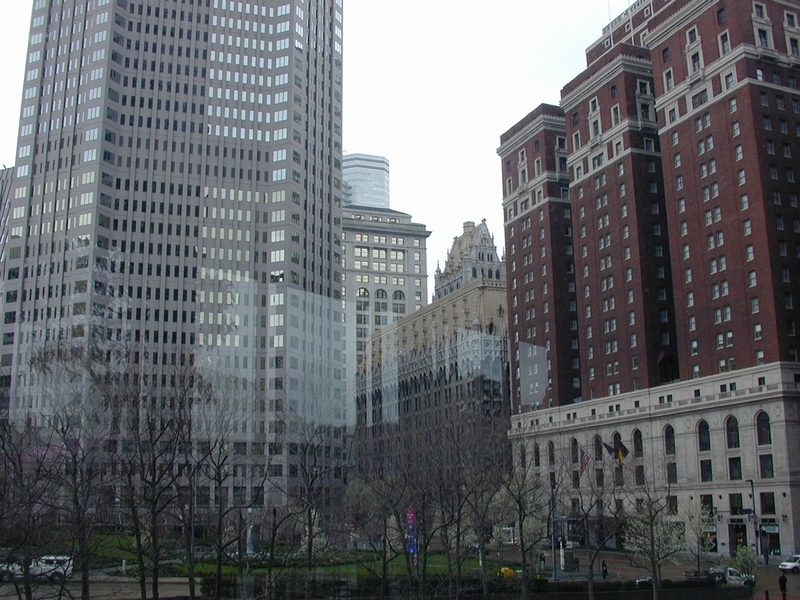 The U.S. Steel Tower, now known as the USX Tower, home to this Starbucks, is the tallest building in Pittsburgh. 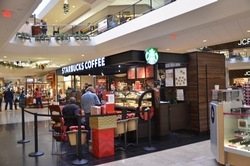 A few stores around the country display snapshots of customers, but this store goes a step further and displays framed portraits of select customers! 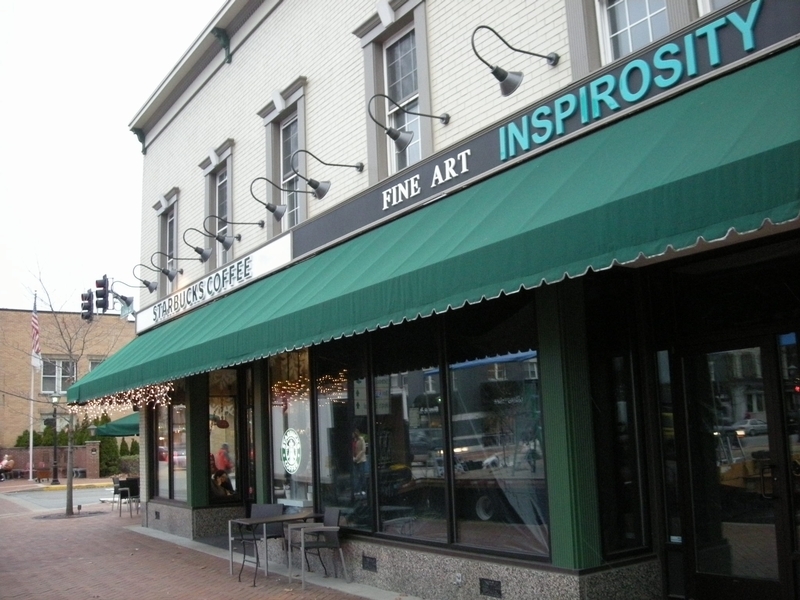 But it's a best feature--a painted portrait of me!!! 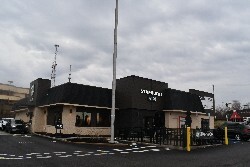 One of the rare drive-thru only stores that has no walk-up window!